All eBayers know the feeling, you find the perfect auction, the price is low, condition is good, the seller has good feedback, but, it’s a local collect only lot... Arranging shipping and transport for eBay items is one of the greatest deterrents for online bargain hunters. Sellers commonly will not arrange delivery for large and bulky items because the high eBay shipping figure can put off quoter's even more than the dreaded pick up only status. Absorbing the cost of delivery themselves is usually out of the question too, because transporting big items can be expensive. If you lack the means to go and collect an item then some eBay listings can seem painfully out of reach. The next time you find an auction on eBay that doesn’t have a shipping option, don’t despair, there is a simple option to solve all your pick up only woes. The easiest way to get cheap eBay shipping is to hire a courier to collect your item for you. You might think this an expensive option but if you find a delivery driver already making a similar trip then it could cost less than the price of collecting it yourself. To know that you know you can quote in freedom, without eBay shipping worries, follow these 5 tips to get the most out of your online auction experience. 1. Hold out until the last minute: Quoting early on in an auction only pushes eventual price higher, so try to quote in at the last second possible. Don’t just increase the quote by the smallest increment, especially if the item has had a lot of interest as you are unlikely to win. 2. Use outside applications: These independent programmes can help you win auctions at the last minute or assist you in finding local auctions more easily. 3. Pay via PayPal: This is the safest method of payment, we wouldn’t use anything else! 4. Make sure it’s the real deal: It can be hard to spot a fake item when it’s described as real, it is easier to spot those who are trying to swindle you with dodgy product descriptions. If you are unsure, then you post a link to the item on the eBay discussion board to get a second opinion. 5. Check the going rate: Check out completed auction of the same type as yours to make sure you don’t end up paying over the odds for your new items. We all know you can buy and sell almost anything on eBay, so choosing the right courier will depend on what you’re quoting on. For example if it’s just a bicycle or a chest of drawers then a standard courier will suffice. 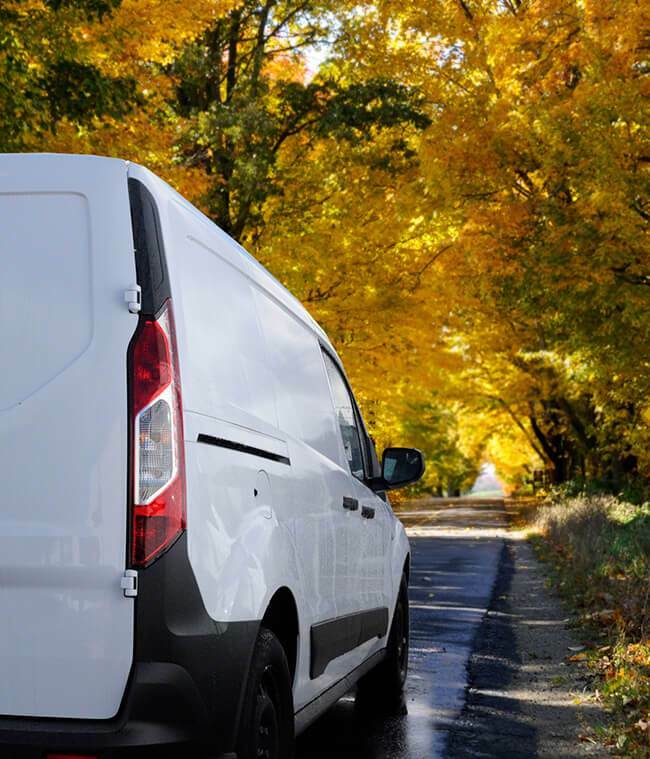 General Couriers: For most items a standard man and van service will be good enough; from wardrobes to watering cans, anything that can fit in a van is fair game for these widespread delivery services. Auction items that are smaller such as DVDs or tablet computers only require parcel services and can usually be sent via the post. Vehicle Shipping: The market for vehicles on eBay has grown steadily over the past few years and now contends with the likes of Autotrader. Getting vehicle shipping via eBay is much easier than going to collect the car and driving it back and can be your only option if you’re buying a car to repair yourself. Please refer to our individual vehicle transportation pages for more information on car shipping. Fragile Item Deliveries: If you’re a treasure seeker on eBay and like to buy antiques then finding the best courier should be a priority, antique furniture and artworks etc. all need special care when being transported aka the white glove treatment so gaining the services of a professional should be high up your priority list. Whichever type of transport you need – whichever goods you’re buying there are some universal things to look out for in all transporters. 1. Insurance: all eBay couriers need to have goods in transit insurance otherwise you’ve got no guarantee if something goes wrong. 2. Rated: Just like power sellers, finding feedback rated eBay shipping services can guarantee you a better level of service than an unknown. You’re quoting in an auction, you know that you will need collection for your new items – so where do you turn? That’s where Shiply has you covered. Uploading the details of your eBay auction to Shiply is as easy as cutting and pasting the auction ID into our simple list form, we’ll do all the extras (like importing pictures and descriptions). Once uploaded, your delivery request will be accessible to our network of thousands of couriers, and we can help match you to a local driver who’s going near your eBay collection and can bring it to you. Couriers will compete to complete your delivery and fill space in their vans, resulting in the price being driven down. You can compare quotes from the couriers and also examine feedback that they’ve received from other Shiply users on prior completed jobs. Then it’s just a matter of accepting the delivery offer than best suits you. We recommend that you stay flexible with your requested delivery dates as transporters making their predetermined routes might only be going past your collection on certain days. When your item arrives make sure that it matched the description given by the eBay seller, if not then you’ve got a claim for a refund. Additionally, if it’s seemingly been damaged during transit, then that’s something to contact the courier about. In the more likely case that everything’s fine then we’d appreciate it if you could leave feedback for your friendly neighbourhood eBay collection driver on Shiply. This helps other users know which companies to choose when they’ve got their own pick up only problems. Oh, and leave feedback for the eBay seller too!